Wallace Nesbitt was born in Woodstock, Canada West (Ontario), on May 13, 1858. He was the son of John W. Nesbitt and Mary Wallace. He studied at Woodstock College, enrolled as a student at the Law Society of Upper Canada and articled in Woodstock. Called to the bar in 1881, he practised law briefly in Hamilton, Ontario. In 1882 he moved to Toronto, where he practised with McCarthy, Osler, Hoskin & Creelman for 10 years before joining Beatty, Chadwick, Blackstock & Galt. He was often called upon to argue before the Judicial Committee of the Privy Council in London, England. 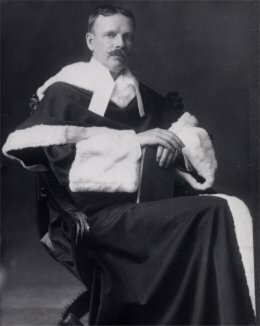 On May 16, 1903, he was appointed to the Supreme Court of Canada. He served on the Supreme Court for two years and resigned on October 4, 1905. Justice Nesbitt died on April 7, 1930, at the age of 71.